Picture-perfect! The Duke and Duchess of Cambridge released a new family portrait the morning of Friday, December 18, which will serve as the couple&apos;s Christmas card. 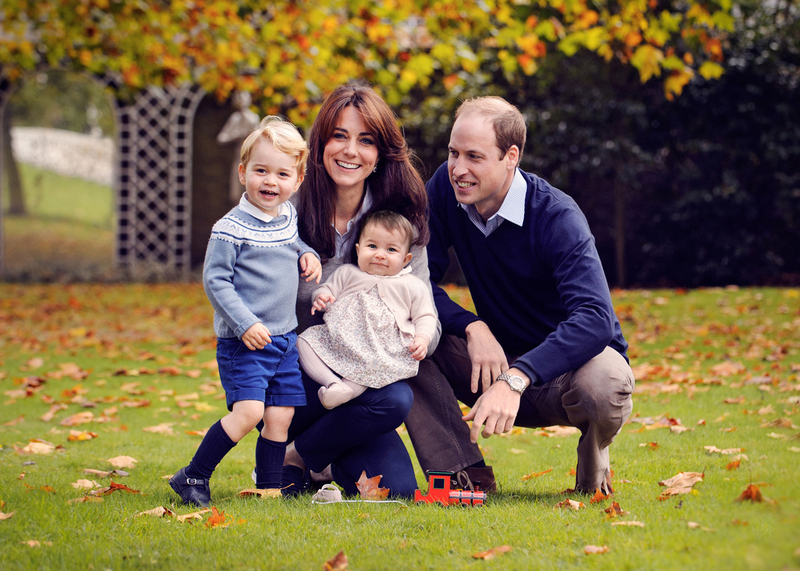 The snap, in which both Prince William, 33, and his wife, also 33, are crouching down to their children&apos;s level, was taken by photographer Chris Jelf in late October, and shows a little red train sitting on the grass in front of them all. "I thoroughly enjoyed photographing a very lovely family, although you have to be sharp as you don&apos;t have long when there are two young children involved!" Jelf said of the exciting commission. "I hope everyone enjoys this photo and I am honored that The Duke and Duchess have decided to share it with the public."